Sometimes it's the smallest part that steals the show. First of all the cover is one of my favorites and it fits the story perfectly. I am a huge fan of Amy Harmon's books. She has spoiled me with her phenomenal writing in the past, so my expectations were very high for this book as well. Amy always finds a way to elevate a regular romance story into so much more. 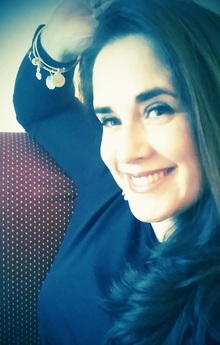 She tells the life stories of characters, and there are twists and turns that keep readers on the edge of their seats. Everything comes together at the end but she will break your heart in the meanwhile and you'll have to be patient for the HEA. The writing like always is amazing and the balance between flashbacks and present time was great. The flashbacks were necessary to really understand the bond between the three main characters Noah, Cora, and Mercedes. He might be the easiest man in the universe to love, because he expects so little. He expects nothing and is grateful for everything. With a man like that, how could you worry about being enough? I was hooked on this book, and the characters were amazing. Everyone of them had their own struggles and heartbreaks. But together they were so strong. Especially the friendship between Noah and Mercedes was beautiful. They would sacrifice anything for one another. Mercedes was a ride or die, she put everyone first and sometimes forgot to take care of herself. This book takes you on a breathtaking and heartbreaking trip into the past to give you a great insight into their friendship, but also shows you how the characters are trying to move on in the present after all the horrible things they go through. I loved all the plot twists and how everything played out. I was hooked and didn't want the story to end. The only reason I didn't rate it a full 5 star, is because I wanted more scenes of the characters as a couple. I think with an extra chapter or two it would've been perfect. 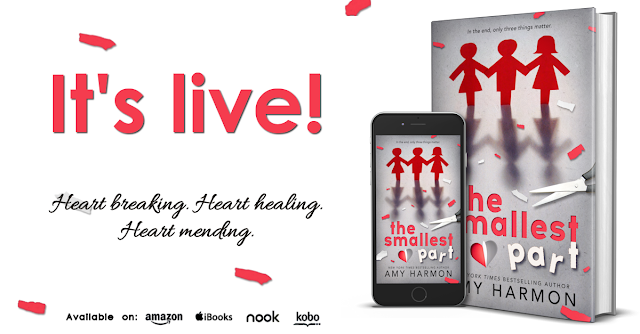 The Smallest Part is another phenomenal contemporary romance by Amy Harmon. 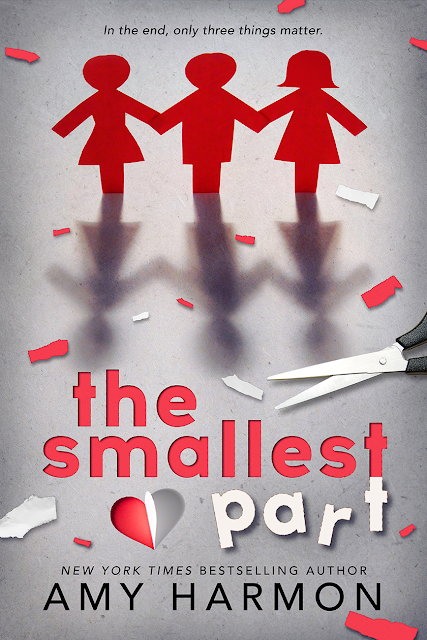 It being a single-parent and childhood friends-to-lovers made it even better. READ THIS BOOK! !